Princeton Park is a 150-unit Garden Style Apartment Complex consisting of 4 three story residential buildings and 1 clubhouse on approximately 8.4 acres of land with grade level parking. The site is located within Princeton, a community in Unincorporated Miami-Dade County. The development will feature a state of the art clubhouse that includes a fitness center, a large multi-purpose community room, designated work stations, and a supreme swimming pool that lies just feet away. The units will feature open floor plans that include granite countertops, luxury vinyl tile flooring, and a full sized range of Energy-Star appliances. 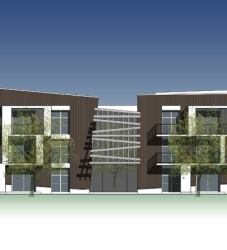 Princeton Park will serve working families that qualify as low income households. Princeton Park will provide their residents with literacy training, family support coordinators, and an employment assistance program. Adjacent to US1, the location is near various community services and offers accessibility to major transit connectors such as the South Miami-Dade Busway which runs on an exclusive lane all the way to downtown and the airport, helping promote an alternative to daily traffic congestion.